It never ceases to amaze me how many leaders have a reputation for making empty promises. They seem to think that because they’re in charge, they can somehow do what they want to do rather than showing respect by following through. As a leader, you set the tone for the company. You don’t get a free pass because of who you are or the title you’ve got. When you fail to follow through, you lose the trust of those you manage. Employees are left feeling defeated, unimportant and disrespected. As a result, employees don’t engage and could care less if you and your organization are successful. They start to believe commitments aren’t important and dependability doesn’t matter. 1. Time is a limited resource for those committed to remaining productive and focused on priorities. It’s so important for you to value time. Return emails and phone calls within at least 24 hours. If you don’t have an answer within that time frame, at least show respect by responding. When you arrive late for a meeting or fail to show up, you communicate your time is more valuable than those waiting. Other people depend on you to deliver on your word and your commitment. Arrive on time and always respond to messages. Others quickly start questioning your level of commitment when you disrespect their time! 2. Frequently and consistently communicate your organization’s top goals and priorities. This will create a natural filter for all decisions and conversations in and among your team going forward. It allows employees to be crystal clear on what you expect of them and it empowers them to commit to requests of others that directly align with what you’ve shared. 3. Make it easy on yourself to honor commitments by using technology systems already in place (i.e., a calendar). We all have them but we don’t necessarily use them effectively. Block off times throughout each day to follow up on phone calls, emails and requests. Consider scheduling time to complete the tasks you’ve committed to others. Scheduling tools ensure you don’t become overbooked or overcommitted. You and I both know that if following through isn’t on our calendars, it won’t happen. 4. Repeat commitments aloud for others to hear. Whether you’re in a meeting or on a phone call, make notes of what you commit to. At the end of the exchange, acknowledge what you’ve promised and when you will follow up. This will ensure all listeners are on the same page and their expectations are consistent. The key to earning respect is giving it. Giving respect means being true to your word and honoring the commitments you make. Whether it’s arriving on time or following through, let others know you’re a person of your word. 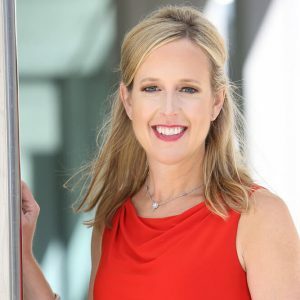 Stacey Hanke is the founder and communication expert of Stacey Hanke Inc. She’s the author of “Influence Redefined: Be the Leader You Were Meant to Be“; “Monday to Monday“; and “Yes You Can! Everything You Need From A to Z to Influence Others to Take Action.” Stacey and her team have delivered thousands of presentations and workshops for leaders of Fortune 500 companies, including Coca-Cola, Nationwide, FedEx, Kohl’s and AbbVie.